Why use Himalayan Pink Salt Slabs for Cooking? More Complex Taste Than Table Salt – Not only is Himalayan salt better for your health, it also provides much more complex flavor to food. Meals prepared on a Himalayan salt block will take on some of that complexity, turning familiar foods into a new and interesting experience. A Hint of Salt, Not A Lot – Himalayan pink salt crystals have very low porosity and minimal moisture retention. Because of these two traits, Himalayan pink salt won’t immediately upon contact transform food into an unbearable salty mess. Instead, your pink salt block will impart just a hint of its very interesting salt flavor into your food. Naturally Anti-Microbial Surface – Unlike other food-preparation and cooking surfaces, you’ll never have to worry about germs on a Himalayan pink salt block. This is also due to the low porosity and moisture retention of the salt which creates a naturally anti-microbial environment. Extreme Temperature Resistance – In order to prevent cracking of the surface, salt blocks must be heated slowly (no more than 200 ºF per 15 minutes.) That said, Himalayan pink salt also has extreme temperature resistance with a melting point of just over 800 C (a little under 1500 ºF) making it excellent for high-heat cooking! Just be sure to have a good solid salt block holder for safe carrying of your super-hot Himalayan pink salt block. Superior Heat Distribution – Due to the crystalline structure of Himalayan pink salt, heat spreads evenly through the entire block instead of radiating out from the middle and cooling toward the edges. Food prepared on the block will cook at the same pace whether it be in exact center, in a corner or anywhere in between. Holds Temperature Longer – Also because of its crystalline structure, Himalayan pink salt blocks hold their temperature – whether it be hot or cold – longer than other cooking and serving surfaces. This means you won’t have to worry about food prepared on your salt block getting cold or too warm while you finish up any accompanying dishes. Use Heated or Chilled – While most of us probably got our salt blocks with the idea to cook food on them, some of the most interesting dishes you will prepare (and serve!) on your block are those best served cold. Food Cures Through Contact – Raw foods like sashimi will actually begin to cure the longer they rest on the salt block. This is fascinating to watch for both children and adults! Himalayan pink salt should be heated at a rate of no more than 200 degrees of temperature increase per 15 minutes. Himalayan pink salt is a natural product with flaws and fault lines. If you heat or cool your block too quickly, you may instead find yourself in possession of a whole lot of very expensive pink salt for your grinder! Himalayan salt blocks can get very hot and stay that way for a long time. Protect your hands and your kitchen surfaces by investing in a sturdy rack upon which to carry your Himalayan pink salt block. You may also want to get a pair of high-heat resistant gloves. A super-heated salt block can and will burn your fingers right through most cooking mitts. Instead, I highly recommend leather welding gloves. While this may sound odd, they work extremely well not only with salt blocks, but also for safely handling heavy cast iron cookware. Use only a damp sponge, scrub the surface lightly and pat the surface dry immediately. Also, no soap. Ever. Just like any other tool in your good-health arsenal, the more you use your Himalayan pink salt block, the better you will get at it. Once you get the knack of it, you may find yourself becoming more creative in the kitchen in general. After all, you are preparing food on a prehistoric rock. Cooking just doesn’t get any more incredible than that! Example of cooking shrimp, scallops, and vegetables on Himalayan salt block. Example of cooking steak, chicken, and vegetables on Himalayan salt block. Example of cooking pizza on Himalayan salt block. Himalayan salt blocks can get very hot and stay that way for a long time – Always Wear Gloves! Example of cleaning a Himalayan salt block. 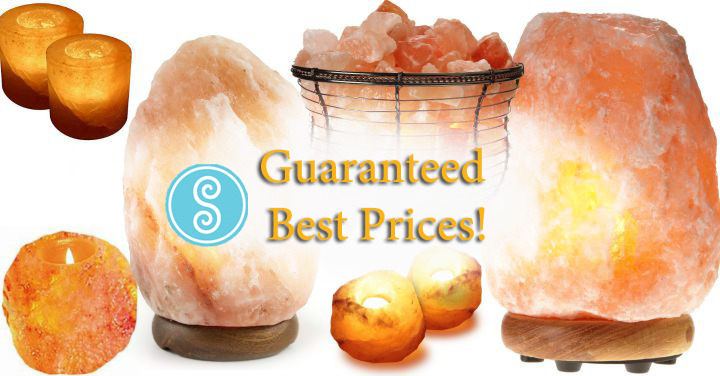 Spiro has the best prices and inventory of Himalayan salt blocks in town! Notice: The following are minimalist recipes. They use high-quality ingredients, and your cooking surface is an ingredient in all of them. Resist the urge to get elaborate and use your haute cuisine training here (at least until you have a healthy amount of experience under your salt block-cooking belt.) This cooking style succeeds precisely BECAUSE it is spartan! The lean protein in this dish will give your diet a healthy kick, while the bright citrus flavors will keep your palate lively. You can also replace the shrimp with scallops. The super-heated salt block will sear the surface into an unbelievably delicious morsel. If you’re cooking for someone who craves red meat, a salt block is a healthy way to prepare it for them. The salt block works best with very lean cuts such as the flank used in this recipe. If you want your veggies yummier and your guests’ eyes googlier, there’s no easier way to achieve this than by cooking up some delicious fresh asparagus on your salt block. Click here for the recipe. Few dishes are as visually impressive as a well-prepared whole fish. This recipe is a beautiful and delicious way to prepare that perfect snapper you scored at the fresh market today! You scream, I scream, we all scream for… salt block ice cream? YES!! This dessert dish is elegant enough for a semi formal dinner, but also fun enough for the kids to help out.